Mrs. Marta Sahagun, president of the Vamos Mexico Foundation. Promoting women's participation and social co-responsibility, Mrs. Marta Sahagun de Fox has taken an active and committed role, carrying out innovative actions of great social impact as she heads Vamos Mexico Foundation. Vamos Mexico Foundation has detonated a whole social movement in the country in favor of the most vulnerable groups, mainly of the girls, children and women in situation of extreme poverty, as well as of the elderly, the disabled and the natives. Through connectivity and the linkage between the public, social and private sectors, actions have been promoted in the areas of health, education and professionalization of social organizations. With a strong commitment and a vision of leadership, Mrs. Sahagun has promoted the prevention and combat of addictions in adolescents and young people, as well as the linkage and support of institutions dedicated to the detection and timely care of cancer in children, adolescents and women. With regard to education, it has given a strong boost to social participation campaigns that seek to bring together children and young people with limited resources, computer equipment and mobile classrooms; And has promoted the modernization of public libraries and the practice of reading. As part of her constant interest in being prepared and updated, Mrs. Sahagun has participated in various congresses on politics and administration, municipal public administration, political development of women, among others. He has also published several articles in national newspapers. Vicente Fox, former president of Mexico and president of Centro Fox. Vicente Fox is a kind, respectful, simple and honest person who has been able to appreciate the loyalty of the people and appreciate the great potential that Mexico has to be a great winner. Vicente Fox was born in Mexico City in 1942. As a child, he and his family moved to San Cristobal Ranch in the municipality of San Francisco del Rincón, in the state of Guanajuato, where he had the opportunity to live with the children of the ejidatarios, to share with them their childhood and, in their own words, to know closely one of the evils that can be avoided in our country: poverty. "I know the value of opportunities. I grew up in an ejido with the peasant's children and the only difference with my childhood friends is the opportunities that I had." In 1964, he worked as a route supervisor at Coca-Cola Mexico, where he had the opportunity to know the most remote places of the country on board a delivery truck. Due to his performance, he became president of the company for Mexico and Latin America, being the youngest manager of the company. After this experience and with the knowledge acquired, he decided to return to Guanajuato and participate actively in the business, political, social and educational fields, to improve that reality. He was president and founder of the Patronato Casa Cuna Amigo Daniel, an institution where many children receive care and affection; president of the Patronato Loyola; promoter of the Universidad Iberoamericana, Leon campus, as well as the Lux Institute. "I am here obliged to continue the effort of this great nation, to work with passion for those who gave us our country, for those who built the Mexico we have today and for those who dreamed of a different, and successful Mexico." 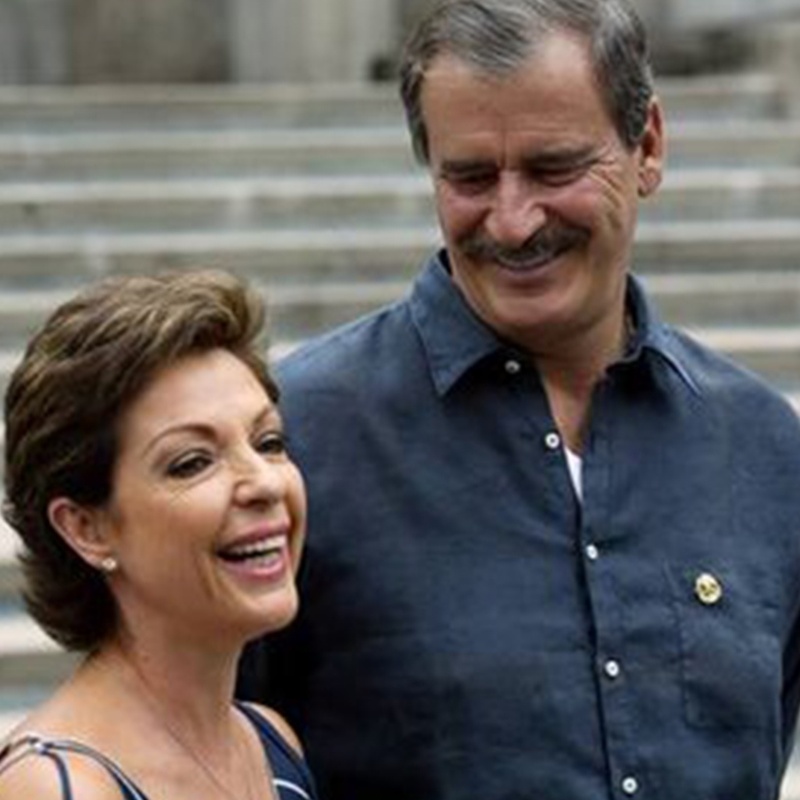 As an entrepreneur or as a politician, Vicente Fox Quesada has always sought the common good and equal opportunities, along with his four adopted children, Ana Cristina, Vicente, Paulina and Rodrigo.